Summer weather has officially started and summer vacation is just around the corner! (4 more days but who is counting?!) My little man graduates Kindergarten tomorrow. I am so proud of him! But, mostly I am excited for the summer to arrive and to have him home all day again. I have good memories of summer as a child and we stayed home the whole summer! I look forward to days at the park, popsicles, sprinklers, and dinner on the grill! I jumped on the nautical band wagon for this layout. Why not? 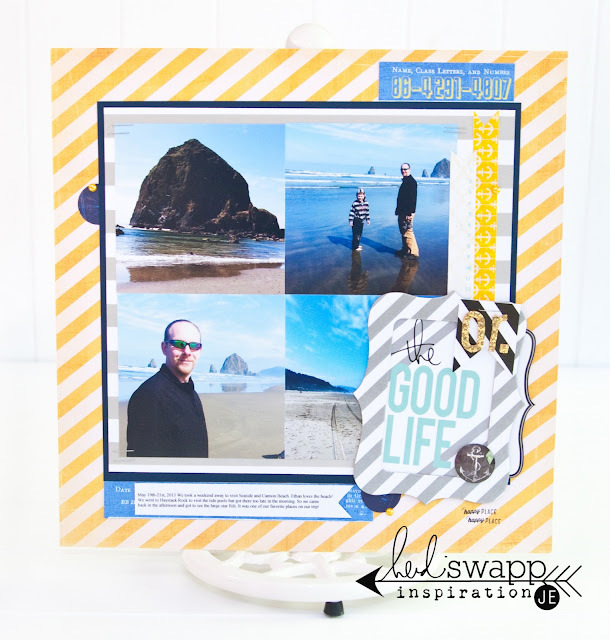 I love these colors and the nautical look went perfect with some of my favorite beach photos we took on our recent trip to Seaside and Cannon Beach. Pinterest helped me pick this color scheme. 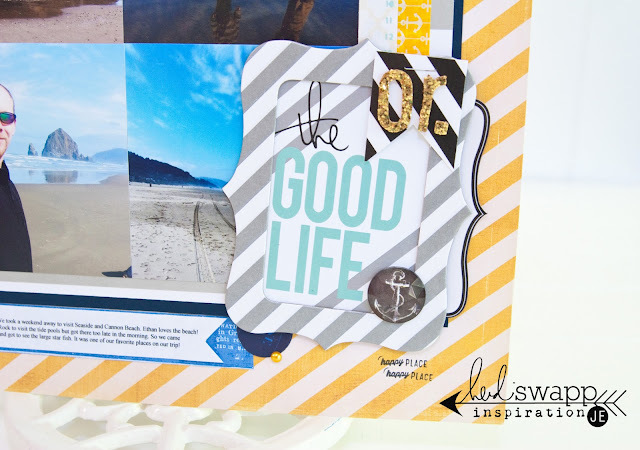 You can see more photos and the details behind the inspiration on Heidi Swapp's blog today! Create Well: Be inspired by a color scheme on Pinterest!